Acquire our passport and visa services to get your passport or visa on time. A small mistake in the application process might lead to the cancelation of your passport or visa. 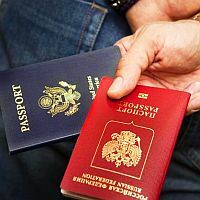 We will hence provide you the appropriate guidance for the complete procedure for your passport or visa application so that you get your passport or visa on time and without any hassle. Our assistance team is available 24/ 7 to attend to your queries and concerns. We will assist you from the beginning of your application process until the time you receive your passport or visa. We are based in Dumdum, Kolkata and we operate throughout the state of West Bengal.